At Kilted Carpentry we strive to build high quality constructions. We work with You from design to completion to give the best results and exactly what You envisioned. With a comprehensive knowledge of the building industry, we cover it all, from decking, carports, bathrooms, home editions, renovations, home maintenance and landscaping. Call a Name you can trust! O'Regan Building Group is run by brothers Kieran and Dylan O'Regan with a combine 20 years in the Construction Industry. 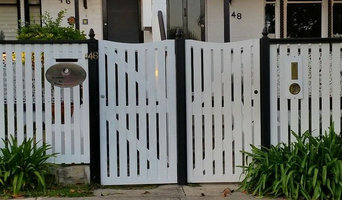 They specialise in Renovations and Extensions . 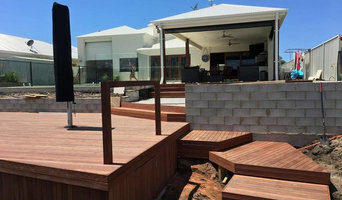 - Outdoor decking and entertaining solutions - Stairs, Car ports, Fences, Doors, Flyscreens - Pergolas and Flyovers - Small renovations and home maintenance At T R Wentworth Carpentry, we are your one-stop-shop for all your outdoor decking and entertaining solutions. As expert carpenters with over 10 years experience, we build in order to enhance your outdoor lifestyle and reinvent your home. Specialising in everything from entertainers decks, stairs, pergolas, car ports, fences and small renovations, we are here to capitalise on the Sunshine Coast weather and ensure your home is ready for every season. We offer a variety of design and material options to suit your needs, creating custom outdoor solutions that can change your home and your lifestyle. Any ideas you've got for your outdoors, give us a call and we'll come out and have a chat about a bespoke option to suit you and your budget. Nulook Property Services can help you with a dynamic range of services to help you improve your property. From simple repairs and maintenance to major renovations, Nulook can help! With over 35 years experience as a trade qualified Carpenter-Joiner, working on everything from small domestic properties to major commercial sites, you can rest assured knowing that we can get the job done and get it done right! Love doing bathrooms and kitchens, but do everything else in between. Work with a great team who only work to Australian standards and above meeting all regulations as required. We take pride in what we do and what the client wants, to get what they had envisioned in the first place. We don’t believe in the impossible but believe everything is possible with being creative and thinking out side the box. It's true that we've all read or heard of horror builders, tradesman and carpenter stories with jobs running late or budgets being blown out. I'm sure there's even been times where you've had friends tell you of their experiences with bad builders and carpenters. We are here to change your perspective on the industry and give you the best possible service. We are the number one choice in carpenters on the Coast, so whether you need a qualified handyman with general carpentry skills, perhaps you're thinking about renovating or finally getting that new extension built? Perhaps some home improvements in order to sell your property? 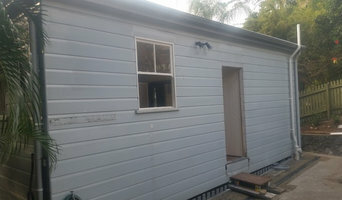 Maybe Grandma is coming to stay so you’re thinking of adding a granny flat? What about giving the bedrooms a makeover, adding ramps and handrails for disabled access, giving the tired exterior a revamp to make it look fresh and new, or converting the garage into a man cave? While you're at it, a new deck and pergola would look perfect with the new renovations. If these are some thoughts and ideas you've been thinking of? Then there's no need to look anywhere else, we've got your needs covered. Get it, pergola? covered? We understand that in sunny QLD we can often be slammed by storms, cyclones and unseasonable rain. With these weather issues also come home repair and maintenance problems like mold, a leaking roof, resealing the deck after rain, rotting timber, foundation issues and the list goes on. Your property is your castle, an investment and without the proper maintenance the value of the investment will drop dramatically. We provide a fast, affordable and reliable maintenance and renovation service with ongoing maintenance contracts available for homeowners, real estate agents, body corporate for townhouse or unit complexes and we also provide our services for insurance claims. 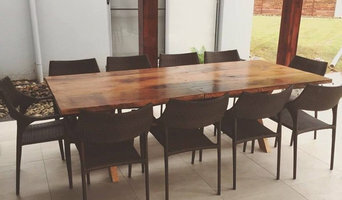 The work of carpenters in Sunshine Coast, Queensland is wide and varied, so many choose to specialise in a particular line of work. Any qualified carpenter in Sunshine Coast, Queensland should be able to perform general carpentry work involving framing and the installation and repair of timber structures and fixtures, while other jobs may require a specialist. Scroll through this page to find carpenters and woodworkers in Sunshine Coast, Queensland. You can browse their latest projects, read reviews and see how other homeowners rate their work, and message them directly.